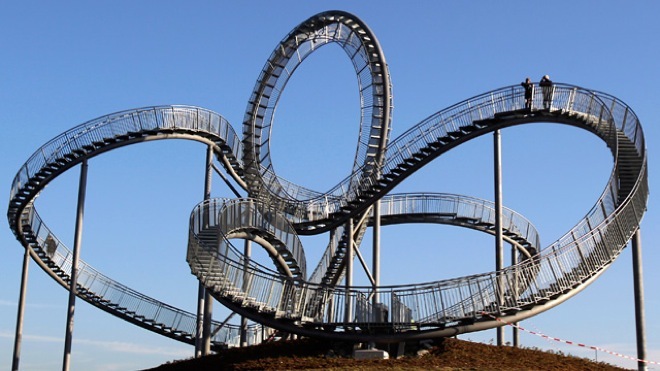 This isn't your typical roller-coaster ride. It's a sculpture, and you have to walk it yourself. Just make sure you get a running start at that loop.